Why Did The Amazon Fire Phone Fail So Terribly? Today Amazon announced their earnings, or lack thereof, for their Fire phone, which was Amazon's first effort at creating their own smartphone hardware. The company took a $170 million hit because of the Fire's failure to carve a niche in the market. Can Cryptocurrencies Like Bitcoin Strengthen Global Economy? Patrick Byrne, CEO of Overstock proudly wears the label "The most hated man on Wall Street." His position as one of the most important supporter of Cryptocurrencies like Bitcoin was cemented when Overstock became the first major retailer to accept Bitcoin. Recently Byrne was the keynote speaker at the 2014 Bitcoin conference. There he shared his thoughts on how Bitcoin fits into the development of liberal philosophy. As something of an American History buff there are certain topics I like to keep a close eye on- one of those is the American Mafia and/or organized crime in general. As such I had to have a look at a certain presentation by Patrick Byrne, PhD. & CEO of Overstock.com: Naked Shorts, Bust-Outs, and the Once and Future Cataclysm: Economic Warfare. It's a fairly long title, but the presentation itself is pretty well mind blowing in nature. For some people, the very idea of dating a geek or a "gamer" or a nerd is repulsive. We're sure we don't know any of those people but we've heard that they're out there. So, today we decided to put together a list of ten reasons why dating geeks can be fun. If you're a cat person then we'll tell you right now that you probably aren't going to like this post. If, however, you are a dog person, then you'll find it pretty damn awesome. We get it, at some point in her history Paula Deen has uttered a racial slur. Deen has admitted her "indiscretion" and publicly apologized. We're ready to move on, but apparently a whole lot of people aren't, so for your pleasure we present 6 people who deserve more criticism than Paula Deen. 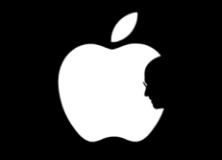 Since the news that Steve Jobs passed away this past Wednesday, the reaction from the world has been nothing short of incredible. Mere hours after I heard about it, I received a tearful phone call from my cousin at college, who talked of a 500-person candlelight vigil on campus. There were post-it notes with "Thank You Steve" plastered all over the Apple Store. 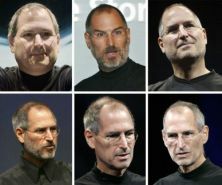 The Internet Asks — Where is Steve Jobs? The tech world exploded with rumors after former CBS news partner "What's Trending" mistakenly tweeted about Jobs' premature death. The tweet was deleted less than a minute after it had been posted, but the damage had already been done.